Join us as we practice mercy and justice in Memphis. Contact Rachel Robinson to learn more or to get involved in any of the following organizations that we partner with. Advance Memphis desires to empower adults living in South Memphis (specifically those living in the 38126 and 38106 zip codes). They provide avenues to break cycles of unemployment, establish economic stability, heal relationships, restore dignity through various areas of connection to knowledge and resources. While seeking to reflect the Hope of Christ. Compassion Neighborhood Clinic is a free medical clinic at Central Christian by an all-volunteer staff who meet the 2nd and 4th Tuesday of the month from 6:00 pm - 8:00 pm. Doctors and nurses treat minor adult and childhood illnesses, help find doctors to treat chronic illnesses, and provide health education. Su Casa welcomes the foreigner and stranger by way of connecting the gap between first generation Hispanic immigrants and the resident Memphians. Su Casa seeks to discover and meet the felt and actual needs within the Hispanic community. Volunteers are needed in teaching and caring for both adult and children, assisting to thrive in the new culture. JIFF is an organization in Memphis pursuing justice through offering intervention alternatives to juvenile detention. They work to break the destructive cycle of crime in juveniles through Christ-Centered intervention. The hope is that youth flourish in a life free from crime. JIFF offers volunteer opportunities by way of mentors and communal quarterly gathering with Christ City Church. The Mid-South Peace & Justice Center is a non-profit organization whose desire is to engage, organize and mobilize communities by bringing awareness to social justice through nonviolent action. There are workshops and volunteer opportunities to get involved. World Relief Memphis provides connection as refugees and immigrants leave their familiar life in order to seek safety and a new start. 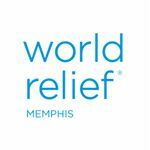 World Relief partners with local churches and the Memphis community to bring relationship as new neighbors enter the city. There are ways for you to get involved. Women of Hope International is helping bring change to those who are affected by disabilities in Sierra Leone. They seek to provide training and equipping the global Body of Christ to think, love and act. In hopes to bring transformation to people with disabilities in developing areas; especially women. There are ways to connect and get involved here in Memphis.